My go to snack to take to a girl's night is Pioneer Woman's Olive Cheese Bread. Now don't tune out if you don't like olives because this very recipe has turned 3 olive haters (and counting) into semi-olive lovers. I had this at our Nothing Party and it was a big hit. Start by Preheating the oven to 325 degrees. Then begin chopping up the olives and green onions. Toss these in a medium sized bowl with the softened butter, Mayo and shredded cheese. Stir until combined well. Slice a loaf of French bread lenghwise and scoop the mixture onto the tops of each half of bread. Bake for 25-30 minutes. Serve warm! 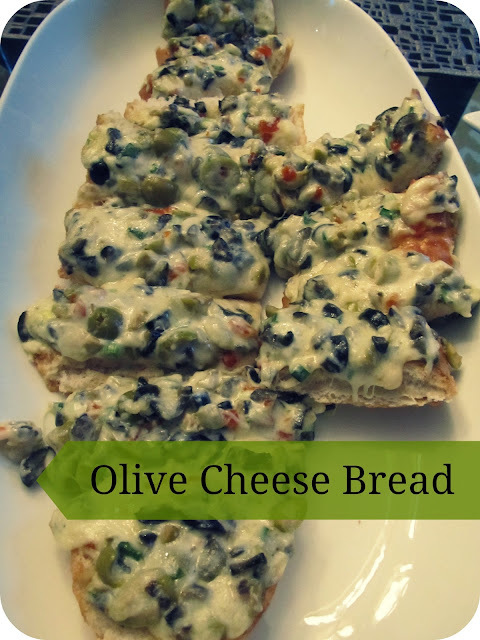 If you have any of the olive mixture left it is great with tortilla chips too. YUM! Ooooh!! Now I'm NOT a huge olive fan, but this really does sound/look tasty! I pinned it and will def have to give it a try next time we have people over! Oh my goodness, that looks totally delicious! Oh YUM YUM YUM! 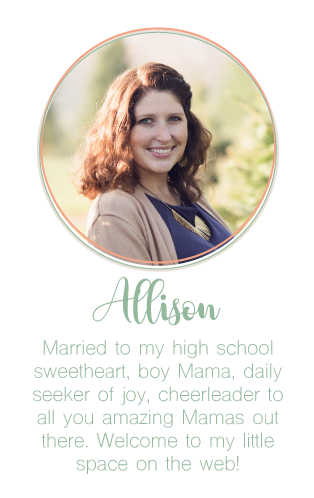 This looks amazing, Allison!! That looks far too fabulous!! !